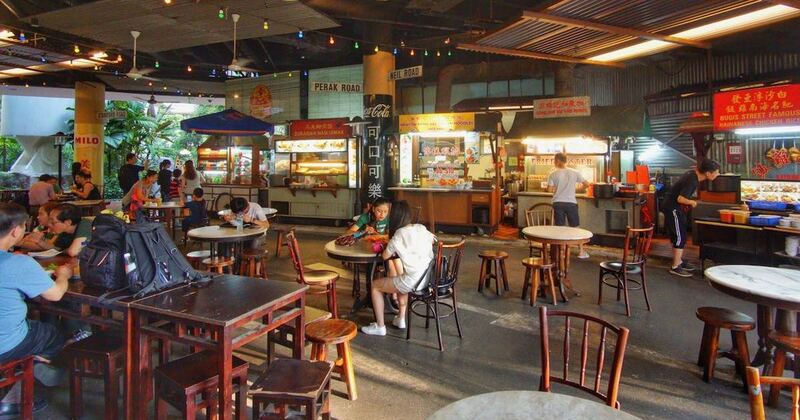 Singapore is known to be a foodie paradise, so it’s no surprise that there are tons of food and beverage (F&B) joints popping up all over the island every other month. That’s also probably why many F&B properties tend to spend a great deal of time and money refining food preparation techniques, menu selection, and even restaurant decor. Yet, they often ignore the area that can have the biggest impact on their business – technology. In 2015, SPRING has reported that almost half (40%) of F&B establishments don’t survive beyond 5 years of operation – a pretty depressing percentage, given how glamourous opening a new F&B business can sometimes be made out to be. We venture into 5 reasons why this could be happening, and how embracing technology could actually keep those stats down. The demand for a high degree of consistency in quality of food and beverages is prompting the F&B industry to improve their production processes. But given that the more manual approach can be rather tedious, machines give us the flexibility to be more agile in terms of production. In fact, few would dispute that automation brings about increased efficiency and productivity. The use of machines in the F&B industry can address a lot of other problems as well, such as shortage of manpower and energy usage. Businesses like Kurve Automation are already using robots to automate processes that can otherwise be done only by a human. Kurve Automation’s robotic arm / Image Credit: Way To Go, Singapore! 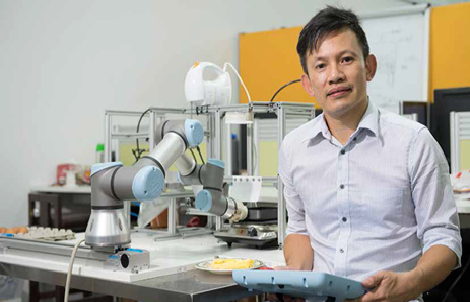 Kurve aims to provide efficient and simple customised solutions for small-scale food manufacturing processes; and it applies a robotic arm – called Universal Robots – to the production line. This one-armed robot can perform more than 20 tasks, and operate up to 10 different pieces of equipment simultaneously. 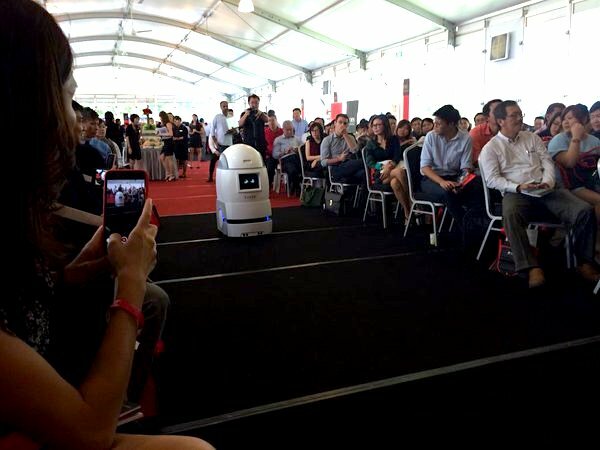 As a matter of fact, it’s the first robot in Singapore with this level of automation and robotics system integration. It’s designed specifically to reduce waiting times at breakfast buffets and restaurants, so it can work twice as fast as humans and make all kinds of eggs – from creamy scrambled eggs and fluffy omelettes to perfect sunny-side ups. They’ve even programmed it to make traditional dishes like dosai and laksa! Also, the automation in food preparation can help to shorten the lead time by 30 to 70 per cent. We all know how annoying it is to wave our hands to catch the waiter’s attention when dining at a restaurant, especially during peak periods. Mobile ordering does not only benefit the customers, but it also serves to optimise the restaurant’s operational efficiency by automating most of their ordering process. This solution is especially advantageous to businesses that are facing a manpower crunch. All the orders will be sent directly to the kitchen, so staff only need to focus on preparing and serving the food. Besides mobile ordering, self-service kiosks are also a good way for businesses to quicken the ordering process. Customers can key in their orders at the kiosk, collect a receipt, and then exchange it for their food from counter staff. In Singapore, plenty of fast-food chains such as McDonalds, Popeye’s and Yoshinoya are already implementing this solution. With the kiosks, the time taken to place an order has been shortened, leading to shorter queues. Staff are also redeployed as “service ambassadors” who greet customers, encourage them to return trays, and even deliver orders to them. EASI for one, develops Self-Service Ordering Technology, equipped with automatic cash machine, for F&B retail shops. Their self service-enabled solutions offer an automated, user-friendly ordering system to increase productivity and reduce manpower needs. Some might argue that implementing mobile ordering is cutting out the human interaction, but I personally think that it does the exact opposite – by freeing up the servers from taking orders from customers, this actually allows them to better attend to other customer requests. Regardless of what’s on the menu, operational problems always pose as a perennial headache for F&B businesses. And it’s not just dealing with a number of suppliers – it can sometimes get confusing when it comes to managing orders and invoices, and sorting out delivery schedules and reports. 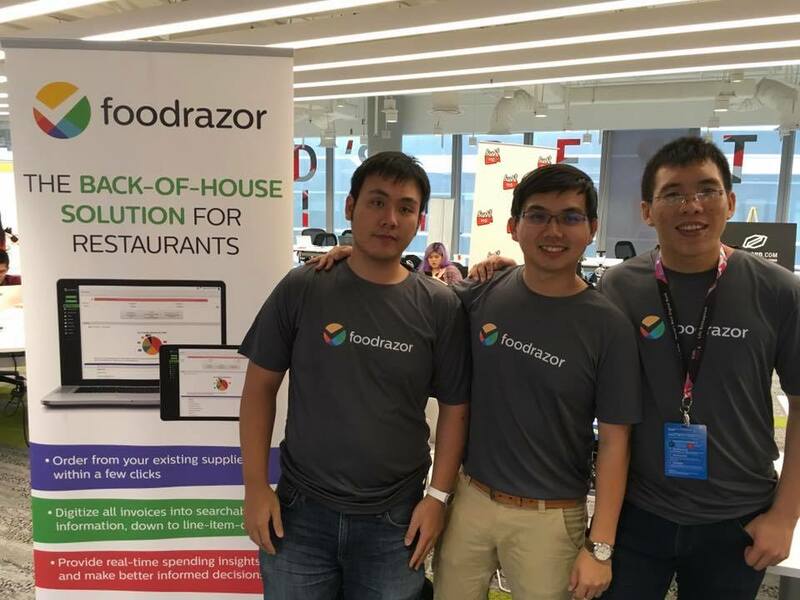 FoodRazor is a local startup that offers restaurants a purchasing and inventory management ordering system. Instead of manually ordering ingredients from suppliers and keeping track of physical receipts for accounting purposes, restaurants can use the system to place orders and track costs. It gives procurement managers the ability to place orders from suppliers, as well as discover new ingredients with just a few simple clicks, saving them hours of work each week. Besides simplifying the order process, FoodRazor also gives users the insights they need to succeed in the F&B industry. By snapping a photo, it digitises the invoice into searchable information, down to line item detail. The information is then translated into real-time spending insights, allowing business owners to make better informed decisions. That said, the main benefits are in terms of efficiency and manpower costs – businesses can save time ordering from suppliers the traditional way, track costs more effectively, and also save money on hiring data entry personnel. 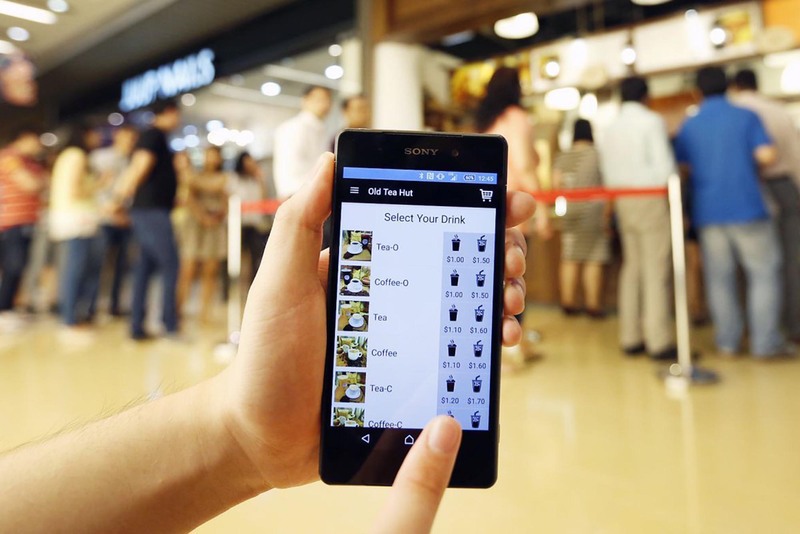 Earlier this month, the Government expressed its intention for half the food and beverage (F&B) establishments in Singapore to adopt digital services by 2020. Specifically, the Monetary Authority of Singapore (MAS) is partnering government agencies to make all essential payment modes available on a single terminal which can accept all major credit cards, including those that are contactless or embedded in smartphones. With the large marketing push by Apple Pay, SamsungPay, Visa payWave, and many others, we’ve all accepted cashless payments one way or another. 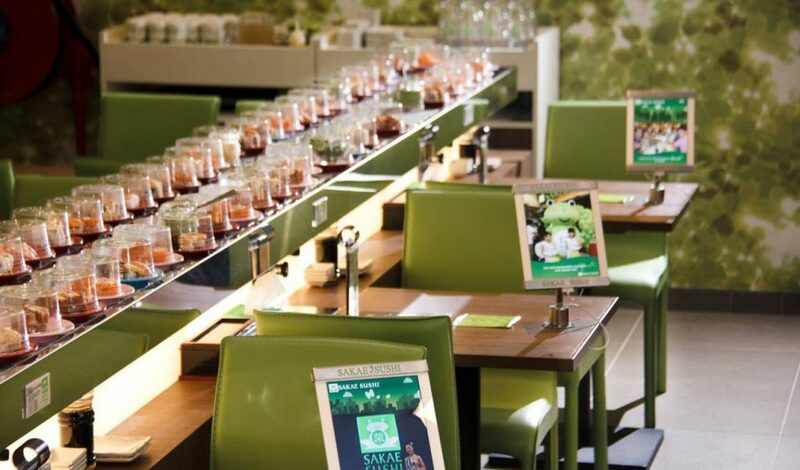 In line with this cashless initiative in the F&B sector, DBS Bank launched early this year DBS FasTrack which literally lets consumers skip the queue at cafes, restaurants and eateries. Customers can simply order and pay via the app, and they will then receive an alert when the food is ready for pick-up. In other words, the app helps to streamline the ordering and payment process at F&B outlets, and this makes it more convenient for consumers – especially for those ordering takeouts. 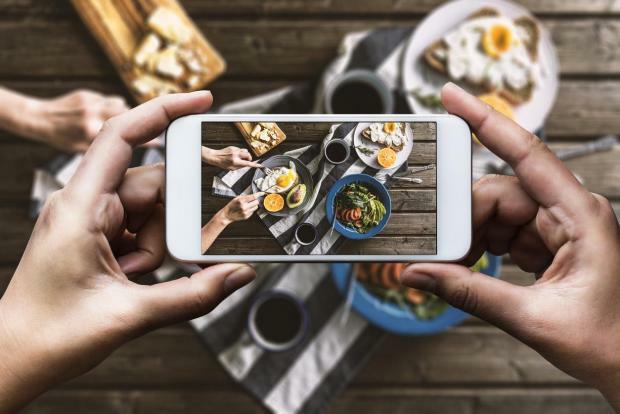 With more than 200 million posts tagged #food and 25 million with #drinks, food and beverage photos are easily some of the most popular types of content on Instagram. In a digitally connected society like today, many customers often take to social media to leave their reviews and food experiences – be it positive or negative. According to Marketing Interactive, nearly half (52%) of Singaporeans read online reviews when searching for a dining place and even a single negative review can sway their decisions! With so many people influenced by reviews and online comments, having a strategy for social media is all the more important for the establishment. F&B establishments should look to social media to create an uplift for their brand to increase awareness, followers, and fans. That said, F&B owners should never neglect their own social media presence as well. Social media is no longer just “social chatter”, but a legit marketing tool to endear more consumers to yourself. Sure, technology may seem daunting at first. But as F&B owners, it’s important to understand how it can be used as a tool to propel a business forward. The right software systems can, quite literally, transform business operations – helping to cut costs, streamline efficiency, increase revenue, and enhance customer service. On the other hand, outdated and underperforming solutions create inefficiencies and only end up placing extra stress on staff. Hence, F&B establishments should work on keeping up with the digital times instead of stubbornly sticking to conventional operations. Ultimately, gaining a competitive advantage will help set a business apart from the very saturated F&B industry. As the saying goes, “disrupt yourself or end up being disrupted” – but how does one even get started on that? At the upcoming Disrupt @ The Bay – a flagship event of DBS BusinessClass – business owners can learn more about the latest trends and technology relevant to the F&B sector. The event will consist of speaking segments and also networking in a tech experiential zone, where tech solution providers can exhibit and demonstrate how they support F&B businesses. Startups mentioned in this article, such as Kurve Automation, FoodRazor and Easi, will also be present for attendees to learn first-hand about their solutions. The highlight of this event are two panel discussions, which will be led by some of the top industry players. The first panel will cover the digital trends and consumer behaviour of the F&B industry, while the second will touch on digital advertising strategies that can help businesses provide customers with a seamless omni-channel experience. And if cost is the barrier to technology adoption, this event will also be underlining the government grants and SME support by SPRING SME Centre that can help alleviate any financial concerns. F&B Disrupt @ The Bay will take place on 16 June 2017 at the DBS Asia Central Auditorium. Participants keen to join in can register for the event here. This article is written in collaboration with DBS BusinessClass.